When I saw the trailer for Academy Award winning director, Brad Bird’s latest sci-fi, Tomorrowland, I wasn’t particularly wowed/ hugely interested. That’s probably because it looked like a kids sci-fi, which it kind of is. Still, I was a little curious, especially with George Clooney as one of the stars. The future of humanity, optimism and time travel are key themes in Tomorrowland. Its main character is an optimistic teenage science enthusiast played by Britt Robertson. Unfortunately, for reasons I’m not quite certain of, I found myself not really able to connect with Robertson’s protagonist. Not to say that the character’s positive outlook and general optimism didn’t sit well with me, or that it isn’t correct. It’s likely that the general story just didn’t provide the necessary elements required or provide them in the right way (if at all) in order for a connection to happen. It could also be that I’m simply not the target market. I do have a favourite thing about Tomorrowland and that is the meaning behind the story about ‘feeding the wolf’. Beyond that, Bird’s film just feels like a long winded and not particularly well structured way of saying one thing about the importance of optimism and creativity, especially as it pertains to the future of our planet and everything in it. 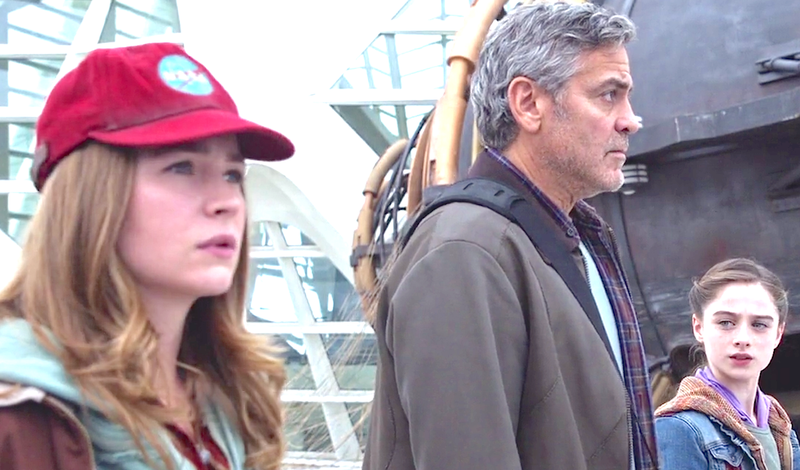 Hugh Laurie, Raffey Cassidy, Keegan-Michael Key and Kathryn Hahn also star.